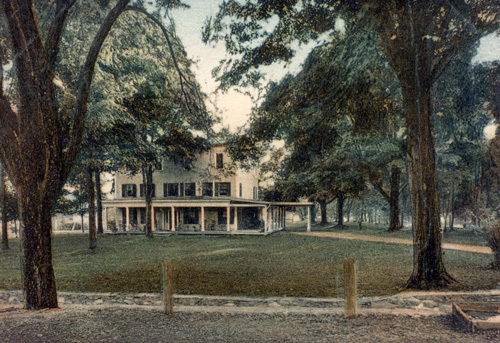 A Post Office was established in 1827, followed by the tavern, a store, an Episcopal Church and several homes by 1834. 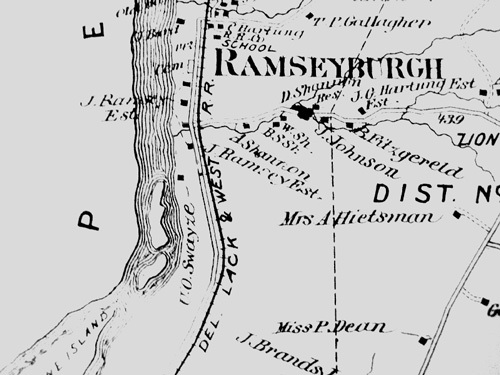 Census records show an extended Ramsay family living at the homestead site, along with several tenant families. A hotel was shown as operating at the site in 1852, and the “Ramsay and Swayze” lumberyard, complete with a sawmill, was advertised in local newspapers as early as 1850. A blacksmith shop was also located on the Ramsay property. This entry was posted in Site History by admin. Bookmark the permalink.